Daniel Jeffery Henderson, born on the 24th of August, 1970, is an American wrestler, Olympian and mixed martial artist, best known as one of the top competitors in the Ultimate Fighting Championship(UFC). So how much is Henderson’s net worth? As of early 2016, it is reported by authoritative sources to be $6 million, gained mostly from his long career as an athlete, from being a multi-award winning wrestler to a multi-title holder MMA fighter. Born in Downey, California of English, French and Native American ancestry, and later growing up in Apple Valley, California, Henderson’s career in wrestling started as early as his high school years. While attending Victor Valley High School, Henderson was already competing in and winning medals at the California State Wrestling Championships with the school. In 1988, he won two championships, in both freestyle and Greco-Roman wrestling. Henderson continued his passion for the sport, first when attending Cal State Fullerton and then Arizona State University. He went on to succeed in wrestling, particularly in the Greco-Roman style, becoming university champion at the national level in 1991, 1993 and 1994. He also got the chance to represent the United States in the 1992 and 1996 Summer Olympics, although without winning a medal. He also competed for the US in the 1994 and 1997 Wrestling World Championships, and in the 1995 Pan American Games, where he won a bronze medal. His various recognitions also meant increased popularity for the athlete, and an increase in his wealth. In 1997, Henderson transitioned to Mixed Martial Arts, debuting in the Brazil Open Lightweight Tournament; after the one night tournament, Henderson took home the championship. He later joined UFC 17 for his second MMA tournament, and after that one night event, he once again won. Henderson also participated in Rings: King of Kings in 2000 and effortlessly swept all five of his matches, and so was named the tournament champion. His back-to-back championships made him one of the most sought-after fighters in the MMA world, and also helped in raising his net worth. In 2000, Henderson joined Pride Fighting Championships and won two title belts, in both the Welterweight division and Middleweight division. 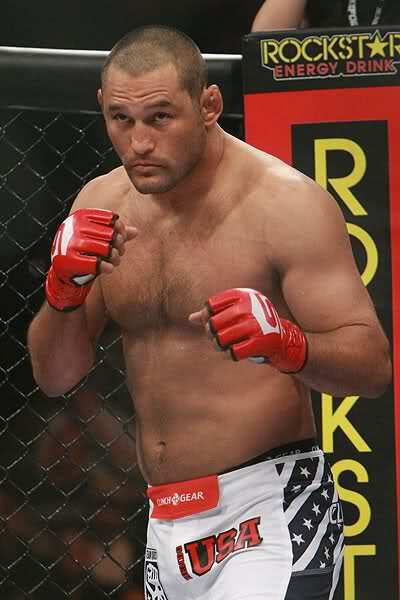 After Pride, Henderson also fought in Strikeforce, and became its last Light Heavyweight Champion. Henderson later rejoined UFC, and is today one of its top contenders, taking part in the middleweight and light heavyweight division, even though he is the oldest competitive wrestler. Aside from being a pro-athlete, Henderson is also an active speaker, and several satisfies speaking engagements in various schools, companies and organizations which have also become a source of his wealth. In 2000, he opened Team Quest Fight Club, an MMA training camp with friend Randy Couture ,and today he is the owner of Dan Henderson’s Athletic Fitness Center in California. In terms of his personal life, Henderson finally married his girlfriend Rachel Malter in 2014; Dan has two kids from his previous marriage. 2 Wrestling at Arizona State University participating in the 1993 NCAA championship. 3 Trains with Randy Couture with Team Quest. 4 Professional MMA record: 21-5. 5 His MMA debut came in 1997 winning the Brazil Open Weight Tourament. Also won the UFC 17 middleweight 4 man tournament champion. 6 Current Pride Fighting welterweight champion and 2005 Welterweight Grand Prix Champion.